The notion of Fair Trade refers to international trade in which fair prices are paid to producers in developing countries whom have historically been economically exploited. UEX Group supports this international movement in Latin America by actively working with communities producing goods and growing food. Fair trade intends to combat income disparities and other social injustices that are well defined in Latin American countries and aims to create sustainable farming and working conditions for producers. 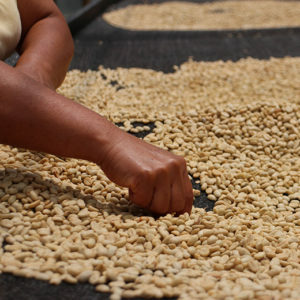 This article discusses the issues and realities of agricultural work in Latin America as well as the role and benefit of fair trade within the context of the global community. The reality for many farmers and producers in Latin America is that farming is a very taxing activity that results in little income, for example, it is estimated that 30% of the population of Ecuador live below the poverty line and that within rural areas it is even higher. Fair trade offers an alternative for farmers and growers to become certified with the organisation in order to work more effectively. Fair trade is “Based on the simple idea that the products we buy and sell are connected to the livelihoods of others, Fair Trade is a way to make a conscious choice for a better world” (www.fairtradecertified.org/why-fair-trade). The idea is that when a product is sold and bought, the monetary value – a fair payment for the product is paid to the producer or farmer in the country in which the product was made or grown. Latin America is a large and agriculturally rich continent that produces a wide range of food and other products. A very significant amount of this is exported overseas and supplies the world demand for products such as coffee, chocolate, bananas, flowers, wine, clothes and so on. Fair trade prompts a consumer to think about where their produce comes from and consider how they may support the livelihoods of others, it creates an awareness in and of the global community. Fair trade works on 10 basic principles (www.wfto.com/fair-trade/10-principles-fair-trade) that act as global initiatives of economic, environmental and social empowerment. The principles uphold values such as respect for the environment, opportunities for disadvantaged producers, no forced or child labour and good working conditions to name a few. Principle six cites “no discrimination, gender equity and freedom of association” this is an important principle that ensures safety and supports the rights of all people as equals. Gender equality and equity promotes that women as well as men are paid the same amount for their work and for example that women can own businesses in their own right. This principle is important all over the world but particularly salient in Latin America due to it’s underlying socioculture of machismo- male dominance that is still present in many aspects of everyday life. UEX group has developed internship programs for overseas students to participate in bettering the conditions of work for producers by assisting them in their agricultural work. Students are welcomed into communities and given the opportunity to offer up their own unique ideas and suggestions, which have been shaped and influenced by their tertiary education. The program answers the question, what could I do? And also what could I learn? It is crucial to think critically about any potential problems with the fair trade movement such as investigating whether the money is reaching the producers or to engage in thinking about what are some innovative ways to tackle poverty, inequality or environmental issues. Solutions and ideas may be found through developing a unique business model for a client, to creating a website to physically working on the farm and helping out. It is hoped that the student visitor gains an important learning experience as well as an invaluable cultural experience in a new country. Fair trade demonstrates how regardless of our geographical location we are connected and how we rely on one another to enjoy and be successful in our collective lives. The main objective of the UEX’s internship programs is to create channels for knowledge transfer between interns and local communities. Significantly, the programs are an extension of an intern’s the academic training and as such each intern is advised at all times and given materials to work with, by the UEX Professional Network. UEX group offers programs in Ecuador, Peru, Colombia, Argentina and Bolivia.